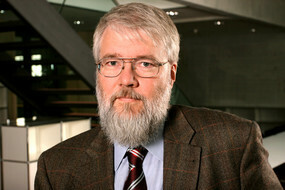 In 2003, the French-Swiss logician and philosopher Jean-Yves Béziau (1965/), working on Sesmat–Blanché‘s logical hexagon (in order to defend paraconsistent logics against an heavy attack by H. Slater in 1995), remarked that in it the “bare modalities” (or “null modalities”), i.e. the logical atoms (or their negations) prefixed by no modality at all, were not represented. So he proposed to take them into account in the geometry of the logical oppositions as being two new points to be added to the logical hexagon. However, as this solution seemed to him to be a little bit clumsy (and heuristically not too fertile), he proposed rather to express the until then forgotten null modalities by way of two new suited logical hexagons, which he discovered. As an anecdote, they were useful to him in order to investigate – against Slater – the paraconsistent and the paracomplete (i.e. intuitionist) properties of the negation operator. Now, because in these three logical hexagons some vertices are present two times, this gave him the revolutionary idea to look for some whole geometrical arrangement of them in the three-dimensional space. Counting the different vertices (without repetitions there are 12 of them) he proposed to see them as forming together a “stellar dodecahedron of opposition” (or “Escher’s solid”, the three-dimensional star admitting twelve vertices). Remark that in his own papers Béziau never made himself the 3D drawing. Later on, in 2004, it was shown by Moretti that another solution was to be preferred (an Archimedian solid, the “logical cuboctahedron”). Further deepenings were brought by Smessaert and by Pellissier. For this idea of looking for a three-dimensional solid of oppositions made of logical hexagons, Béziau is (with Blanché and his model made of two joined logical hexagons) one of the two forerunners of the idea of logical “β-structure“. Moreover, considering that the logical square expresses 2-opposition and that the logical hexagon expresses 3-opposition (Béziau’s own terms are “dichotomy” and “tritomy”) he also looked for some possible quaternary, 4-oppositional (Béziau’s term was “quadritomy”) successor of the logical hexagon: his proposal was a polygon made of two nested squares. As it happens, the right solution to Béziau’s problem was found later by Moretti as being a “logical bi-tetrahedron”, or “logical cube”. For this revolutionary idea of looking for a successor of the logical hexagon, Béziau is (along, this time, with Sesmat, who proposed a “tetrahedric structure”, and with Joerden, who discovered – for deontic logic – a pentadic structure which happens to express perfectly 5-opposition) one of the three forerunners of the notion of logical “α-structure“. In 1987, in a joint paper with Johachim Hruschka, the German Lawman and logician Jan C. Joerden (1953/) enquired the logical structure of the theories internalising the notion of “supererogation” (i.e. the fact of “doing more than what morality demands”). In order to do this, he first recalled the conceptual frameworks of the existing smaller theories of deontic phenomena. This comprises not only the classical deontic square (the deontic counterpart of Aristotélēs‘ logical square), but also a less known “deontic hexagon”, proposed in 1972 by the French-Polish philosopher of law and logician Jerzy (or Georges) Kalinowski as a deontic counterpart of Jacoby‘s, Sesmat‘s and Blanché‘s logical hexagon. Now, having introduced, with respect to standard deontic logic, new notions, mainly concerned with the concept of “supererogation”, Joerden shows that a convenient geometrical way of expressing these new ideas leads to a structure collecting neither 2 (as the logical square) nor 3 (as the logical hexagon) contrary starting terms, but 5. He calls this structure a “deontic decagon”. Remark that from the point of view of OG, Joerden’s solution is perfect, for it is, “avant la lettre”, an α5-structure (or “oppositional bi-simplex of dimension 4”). However, contrary to what Joerden believed, it is not a 2D polygon (i.e. not a 2D “decagon”), but a hyper-solid and more precisely : it is a 4-dimensional solid, which (from the 3D viewpoint) can be seen made of 10 perfectly intertwined 3-dimensional tetrahedra – 5 blue and 5 green (the 5 blue tetrahedra constitute together the 4-dimensional blue “pentacle”, in fact a “simplex of dimension 4”; the 5 green tetrahedra constitute together the 4-dimensional green “pentacle”, in fact a “simplex of dimension 4”). 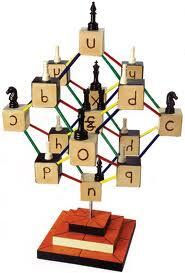 Therefore, because he devised a structure, successor of the logical hexagon (and in fact also of the logical cube, i.e. the α4-structure), which is fully compatible with the formal predictions of OG, Joerden can be considered, along with Sesmat, as a forerunner of the notion of “α-structure” and hence as a forerunner of OG. Hruschka J. and Joerden J. C., “Supererogation: Vom deontologischen Sechseck zum deontologischen Zehneck. Zugleich ein Beitrag zur strafrechtlichen Grundlagenforschung”, rer, 1987. The American logician Mark Brown (1939/) has proposed (1984) a typology of formal squares in which the logical square is only a particular case. Brown exhibits four kinds of formal squares, namely a “Boolean square”, a “classical square”, a “semi-degenerate square” and a “degenerate square”. Four things at least must be remarked. First, what Brown calls a “Boolean square” is the same structure as the one described by Peirce, when he allegedly gave a logical refutation of the square of opposition. Second, it must be remarked that Brown’s typology is (unawarely) a generalisation of a study already done in 1969 by Brunschwig (Brown adds to the three logical squares discussed by Brunschwig relatively to Aristotélēs‘ logical hesitations the Boolean square). Third, as such Brown’s semi-degenerate square is isomorphic to the square used by Lacan for discussiong the theory of “sexuation”. Fourth, from the current viewpoint of oppositional geometry, both Braunschwig and Brown are forerunners of what Moretti (2015) proposes to conceive as “hybrid oppositional structures” (the model of this being Moretti’s notion of “hybrid oppositional hexagon”). In particular three Boolean squares are systematically embedded in “Smessaert’s octahedron” (i.e. the enveloppe of the β3-structure). For these reasons, Brown must be seen as an important forerunner of oppositional geometry. 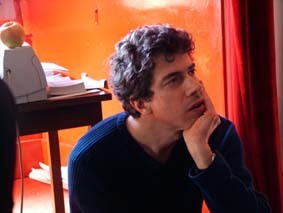 The French historian of ancient philosophy Jacques Brunschwig (1929/2010) produced a very interesting study of Aristotélēs‘ logic, where he demonstrated that the difficulties known about the logical square, when read without help of the logical hexagon, lead to three axioms such that the three together lead to a contradiction. In order to avoid such a contradiciton, one of the three axioms must accordigly be sacrified. Brunschwig shows that each of these three axioms, when dropped alone, generates a different version of the logical square. As a consequence, Brunschwig motivates that Aristotle (unaware of the logical hexagon), has fought all along his intellectual life in order to find an equilibrium about such notions. This explains why Brunschwig seems to have exerted (according to Le Gaufey) some influence on Lacan‘s use of the square in order to give a structure to his own theory of sexuation (Lacan was looking for some Moebian counterpart of the logical square): Lacan’s square of sexuation is in fact one of Brunschwig’s two irregular Aristotelian logical squares. It must be remarked that Brunschwig recognises that all his enquire is potentially contained in Blanché‘s theory of the logical hexagon (that is, the logical hexagon alone allows to dissipate all the hesitations Aristotélēs and his successors had about the fundamental relations of the logic of the square and their possible ambiguities). It must also be remarked that Brunschwig’s typology is (unawarely) confirmed and generalised by Brown (1984), still without resorting to the logical hexagon. More generally, from the current viewpoint of oppositional geometry (that is, rsorting to the logical hexagon and far beyond), both Braunschwig and Brown (and to a lesser extent Lacan!) are forerunners of what Moretti proposes to conceive as “hybrid oppositional structures”, the model of this being the same author’s notion of “hybrid oppositional hexagon”, an instance of which is the notion of “arrow-hexagon” (similar, although less irregular structures are also being studied by Smessaert and Demey from the viewpoint of their “logical geometry”). For these reasons, Brunschwig must indeed be seen as an important forerunner of oppositional geometry. The American psychologist Shea Zellweger (1925/) seems to be the first person to have remarked (in 1997 ?) that the 14 non-trivial binary connectives (i.e. the 16 binary connectives minus the “tautology” and the “contradiction” connectives) can be embedded into a 3D rhombic dodecahedron (which he called “logical garnet”). However, he does not seem to have been aware of the fact more or less the same structure (that is: the same structure but expressed in a different way, so to exhibit 6 logical hexagons in it) had been proposed by Sauriol in 1968. The same structure has been rediscovered (à la Sauriol) around 2004 by Pellissier (published in 2008), and (à la Zellweger) by Smessaert (published in 2009). It has been discovered in 2007 (by Moretti and Smessaert) that there is a profound equivalence between the “logical rhombic dodecahedron” (discovered by Smessaert, and isomorphic to Zellweger’s garnet) and the “logical tetrahexahedron” (discovered by Pellissier and isomorphic to Sauriol’s homonymous structure). This common structure is called, inside OG, the “β3-structure“: and as such, it contains one “logical cube“, six “strong logical hexagons“, four “weak logical hexagons” and eighteen “logical squares” (these are called the α-structures of the β-structure). The fact that the 14 non-trivial binary connectives of propositional calculus can decorate perfectly such a β3-structure (call it logical tetraicosahedron or logical rhombic dodecahedron) has been discovered in 1968 by Sauriol, and rediscovered independently (around 2007) by Luzeaux and Moretti (and published, respectively, in 2008 and 2009). Which means, again, that there is not only a “logical garnet” of connectives (as seemingly believed Zellweger), but in fact much more: also one logical cube of connectives”, six “strong logical hexagons of connectives”, four “weak logical hexagons of connectives” and eighteen “logical squares of connectives” (and in fact even one “independency octahedron” of connectives, the latter structure has been highlighted by Smessaert). Despite the fact that he did not discover this important inner “oppositional structure”, it seems fair to say that Zellweger fully deserves being counted among the ancestors of OG (of which he was the first to investigate one decoration – with binary connectives – of the β3-structure – quo rhombic dodecahedron). Zellweger, S., “Untapped potential in Peirce’s iconic notation for the sixteen binary connectives”, in: Hauser N., Roberts D.D. and Evra J.V. (eds. ), Studies in the Logic of Charles Peirce, Indiana University Press, 1997. (many thanks to Dany Jaspers who brought to our attention Kaufman’s paper, and therefore indirectly to Zellweger’s work). One of the few thinkers to react to Blanché’s proposal seems to have been the Canadian Pierre Sauriol (?/). In order to oppose himself to Blanché‘s philosophy of the “reflexive logic” (a move by which the latter thinker tried, based on his discovery of the logical hexagon, to build a third way in between analytical and continental philosophy) Sauriol tried to “naturalise” the hexagon from the viewpoint of “orthodox” (i.e. analytical-philosophical) mathematical logic. For doing this, he relied on a work by Piaget, where the latter gave a minimal rational structure for generating the propositional calculus. Sauriol showed that a suited 3D extension of Piaget’s strategy could generate, in a similar way, Jacoby‘s, Sesmat‘s and Blanché’s logical hexagon. More than this, Sauriol showed that Blanché’s model for ordering – through 2 logical hexagons – 10 over the 16 binary connectives of the propositional calculus is incomplete: thanks to his aforementioned extension of Piaget’s method he produced a 3D solid, mathematically speaking a “tetrahexahedron”, such that it contains Blanché’s logical hexagons plus new ones. However, Sauriol stopped by himself his amazing discoveries, under the ideological (pro-analytical and anti-reflexive) motivation that “these new geometrical objects bear nothing new logically speaking, and therefore there is no use in developing them further. My only aim in developing all this was to stop Blanché’s philosophical claims about logic” (we paraphrase). As it happens, Sauriol thus discovered, with some 40 years of advance, what Pellissier and Smessaert discovered independently (and called respectively the “logical tetraicosahedron” and the “rhombic dodecahedron”) and which correspond to the β3-structure of OG. However, he doesn’t seem to have clearly perceived all the abundance of emergent oppositional structures, like for instance the logical cube (of which Sesmat seems to have had an intuition and which has been clearly recognised and theorised by Moretti in 2004). What seemed to be (so long Sauriol’s work was being ignored, that is until Moretti’s study of 2012) the application of Pellissier and Smessaert’s discovery to the binary connectives of propositional calculus was re-discovered (independently) by Luzeaux and Moretti. I Very much against Sauriol, Moretti (2012) claims that this kind of geometrical hyper-solid constitute a new discipline, in fact a new branch of mathematics, “oppositional geometry” and that neglecting deliberatly to develop it is an ideologically-oriented silly waste of possible scientifical knowledge. We thank in advance those who will provide us with the many still lacking pieces of information about Pierre Sauriol and his work. Blanché, R., “Sur l’opposition des concepts”, Theoria, 19, 1953. Blanché, R., Structures intellectuelles. Essai sur l’organisation systématique des concepts, Vrin, Paris, 1966. Blanché, R., Raison et discours. Défense de la logique réflexive, Vrin, Paris, 1967. Sauriol, P., “Remarques sur la Théorie de l’hexagone logique de Blanché”, Dialogue, 7, 1968. Sauriol, P., “La structure tétrahexaédrique du système complet des propositions catégoriques”, Dialogue, 15, 1976. Smessaert, H., “On the 3D visualisation of logical relations”, Logica Universalis, 2009. As it seems, the New-Zelandish philosopher and logician Arthur Norman Prior (1914/1969) is the inventor of the nameless denotational device, generalised and called “modal graph” by OG in 2004 (by that time OG was called NOT, for “n-opposition theory”) and now called γ-structure. This is a graph showing by central symmetry of the contradictories, and by downward implication arrows (vertical or oblique), the mutual dependencies of the “basic modalities” of any given modal system (it is some kind of modal-logical “identikit” of formal systems). It probably has been inspired by the logical square, or square of opposition (and by some medieval and Renaissance extensions of it, cf. infra). This has been applied, later (by Chellas, Hughes and Cresswell, and Popkorn to classical modal systems like the so-called “Lewis systems” S4, S5, etc., but also to several other modal systems, like the deontic KD45, etc.). In particular, in 1965, together with Hamblin, Prior has carefully (and rightly) determined almost all the modal graph of his “standard non-metric tense logic” (a quite complex modal graph, cf. infra) by determining its 30 basic modalities (fifteen positive and fifteen negative) – as it happens, it is Hamblin, in 1965, who has completed Prior’s diagram (originated by a reaction of Prior to a discovery by Hamblin following his reading of a book of Prior…) by adding to it some still missing arrows with respect to the totality of the arrows which it should logically have – cf. figure, where only the 15 positive modalities are treated and where implication dependecies – expressed through arrows – go left-right instead that top-down). At present OG is able to consider this mysterious proposal of Hamblin and Prior in a quite systematic way: that is by the concept of a “γ-structure“. Everything is made more explicit, notably by making explicit the interplay of the 15 negative modalities (this is made easier by rotating the previous structure clockwise of 90°, so that implications become top-down instead of left-right). Inside OG, the (γ-β-α)-translation rule developed by Pellissier (2008) allows working on the γ-structure for determining which βn-structure corresponds univocally to it, and this is very useful since OG tells very precisely which αn-structures are contained in each β-structure (the α-structures are in some sense the basic ingredients of oppositional geometry, since they are the n-oppositions). For instance, it has been shown (by Moretti, 2009) that the γ-structure of the deontic system KD45 maps into the β5-structure. As for the βn-structure of Hamblin and Prior’s tense logic, it has been determined (by Moretti, 2015, forthcoming) through such an application of the (γ-β-α)-translation of this γ-structure: it is the biggest known β-structure at present day. Therefore, Prior seems to be a direct forerunner of the γ-structures of OG. Remark that, in that, Prior has probably been influenced himself by his notorious accurate knowledge of Medieval logicians (cf., for instance, the “modal graphs” of Buridan and Celaya). Beware: there is another page on Blanché in this website, dealing with his broader philosophy. The present page will be more restricted on his “logical hexagon“. 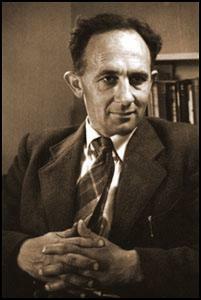 The French logician and philosopher Robert Blanché (1898/1975) is (mistakenly) known as the discoverer of the logical hexagon (1953), a structure which can be considered as a “geometrical-logical conservative extension” of Aristotélēs‘ logical square (or square of opposition). Truly speaking, we know now – as recognised by Blanché himself in a note of his 1953 paper – that this structure has been discovered two years before him by Jacoby (1950) and Sesmat (1951). Blanché’s way of representing it has nevertheless become standard, mostly because of its very high conceptual clarity (so that people keep speaking of “Blanché’s hexagon”, or “Blanché’s star”): he stressed (more than Jacoby and Sesmat) the importance of the arrows in it. As Sesmat slightly before him, Blanché gives interesting applications of the logical hexagon, as for instance the one dealing with inequalities. He also put much stress on the philosophical interpretation of this structure, claiming that it plays a major role for rationality. He also defended a philosophical position, which he called “reflexive logic”, aiming at avoiding both what we call nowadays “continental philosophy” (with its distrust of logic) and what we call “analytical philosophy” (with its fetichism of formal logic). One important technical application by Blanché of the logical hexagon is the one proposed in order to give a better geometrical model of the opposition relations holding between the binary connectives of the propositional calculus. In a short paper of 1955, the Polish philosopher and logician Tadeusz Czeżowski (1889/1981) has rediscovered (Sherwood had done it 800 hundred years before – but this had been forgotten until a few years ago, cf. Khomskii) that the traditional “singular judgements” of Aristotélēs do play a pivotal role in between the contrary and the subcontrary terms of a logical square decorated with quantificational judgements (such as “all”, “none”, “some”, etc.). This has led him to an hexagonal structure (to be carefully distinguished from the falsely similar logical hexagon of Jacoby, Sesmat and Blanché!). This result is very important for the geometry of oppositions (OG), for it tells, in “OG terms”, that quantification theory (taken as a whole structure) admits, as already did modal logic (taken as a whole structure), a pivotal “null operator” (and its negation, pivotal as well), in this case a “null quantifier” (to be distinguished from the quantifier “none”, which is an “extremal (negative) quantifier”). And this allows to transfer to quantificational issues (such as the theory of the generalised quantifiers, very useful in linguistics – in this respect cf. the work of Smessaert) all the useful techniques of OG (like the (γ-β-α)-translation) which have proven effective for modal logic. In this respect Czeżowski must be considered as a forerunner of OG. However, this oppositional figure drawn by Czeżowski (and possibly by Sherwood) is, from the point of view of OG, only a fragment of a structure (a “logical octogon”) discovered by several people including Béziau (but also, later, by Strößner and Demey), which in turn is only a fragment of the real oppositional closure, Pellissier’s and Smessaert’s “logical tetrahexahedron” (that is the “β3-structure” of OG). 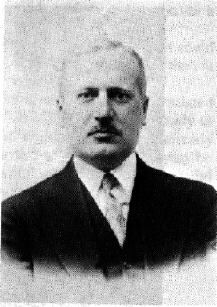 The linguist Viggo Brøndal (1887/1942) is an important thinker for opposition, although his contribution played in a complex way. 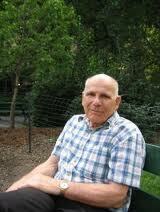 For short, he was very important for helping Greimas establish his own theoretical model, the semiotic square. For that, Brøndal is supposed to have theorised the possible compositions of meanings in a way leading to a structure called by some authors (like Hénault) “Brøndal’s hexagon”. This structure and its underlying theory have strongly influenced Greimas, who was looking, inspired by Lévi-Strauss’ “elementary structures of kinship” in sociology and in anthropology, for some analogous “elementary structures of meaning”. In some sense, Greimas relied on a general idea by Saussure and on theoretical elements (on meaning and oppositions) by Brøndal and Jakobson and synthetised it as a “semiotic square”. Greimas stressed that the idea of it came from reading things about Blanché’s logical hexagon but that his semiotic square had no relation to the logical hexagon (in fact, no structuralist thinker relied on the logical hexagon, although Blanché presented it, in 1966, in a book titled Structures intellectuelles, thus seemingly trying to join the structuralist movement). But according to Moretti (2015) this has induced an important mistake, namely believing that the logical hexagon cannot help modelling the fundamental structure of meaning. For that, Moretti has shown (through OG) four things. First, he has demonstrated that “Brøndal hexagon” is a very unplausible oppositional structure. Second, he has demonstrated that Brøndal’s hexagon, in on of its vertices (the topmost one), is mistaken (because a mistaken logical reading of his own semiotic intuition) and that correcting its mistake leads precisely to the logical hexagon. Third, Moretti has shown that the logical hexagon, thanks to a discovery made by Smessaert and Demey in their “logical geometry” (which is some kind of twin of oppositional geometry), the logical hexagon is able to express fully all the features which Greimas and his school tried to express through the semiotic square (and in primis the until then very mysterious “upward arrows” of semiotic deixis). As such, the semiotic hexagon (fully analogously with the relation holding between the logical square and hexagon) contains three semiotic squares.